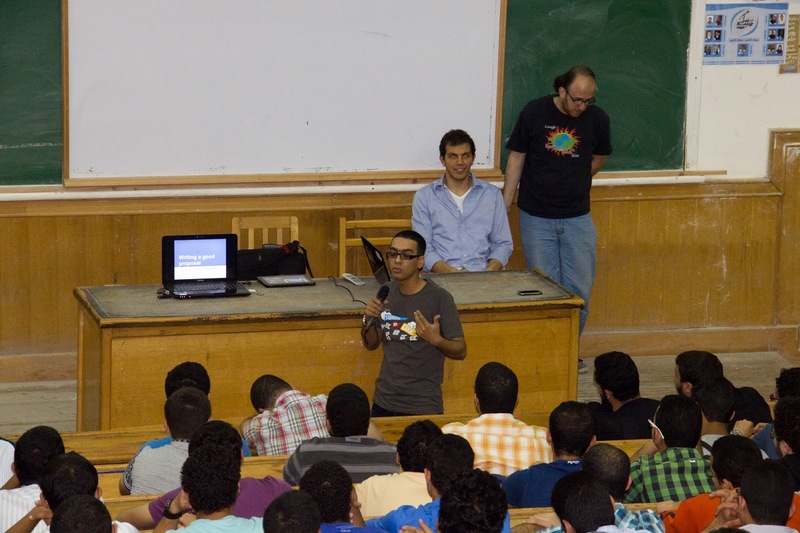 With a lot of passion and enthusiasm, around 80 Computer Engineering students attended a meetup hosted by GDG Cairo at Faculty of Engineering of Ain Shams University in Cairo, Egypt on Saturday, April 13th. Students were from all levels of schooling with a majority being 1st and 4th year students. 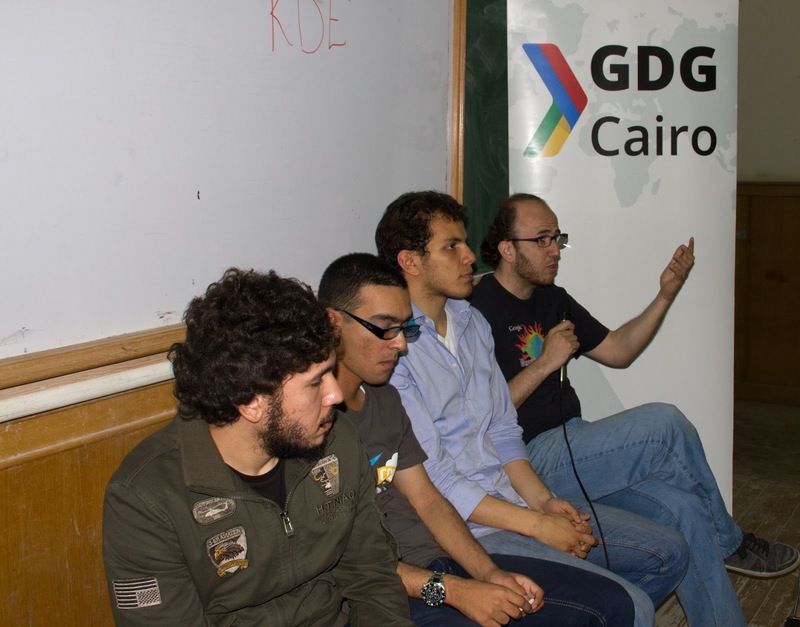 Under the guidance of PhD Bassem Amin, from the Computer Engineering department, GDG Cairo hosted a panel of Google Summer of Code alumni to give an introduction about the Google Summer of Code 2013 program to prospective students. The meetup started with a presentation by Mostafa Muhammad, a 2008 and 2009 Google Summer of Code alumnus who worked with the Joomla! organization. 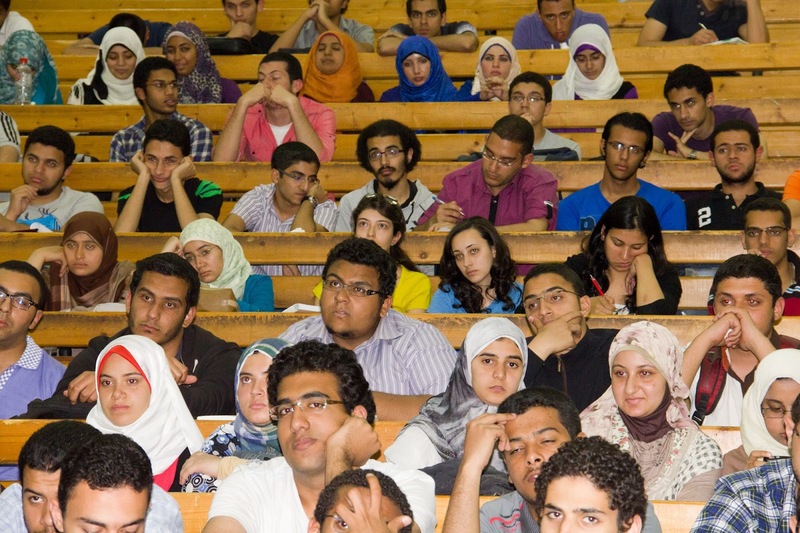 He gave an introductory speech about the Google Summer of Code program and the 2013 program timeline. He emphasized that participating organizations understand that applicants are students with moderate skills and that they are still learning, which is why a mentor is paired with each student to help with questions they have when working on their project. Mostafa stressed the importance of the students’ written project proposal and their general fit with the project when organizations are choosing their students. Cat Allman, from the Google Open Source Programs Office, joined the live Hangout giving a very interesting talk about the program, exciting the students who then asked her questions about the background needed for the program. Next, Mohamed Tarek, a former Computer Engineering student and Google Summer of Code 2009 and 2010 alumnus, explained in more detail the steps for applying to the program using the Google Summer of Code 2013 website. He gave a demo on choosing an organization and reviewing their ideas list, how to use the mailing lists, using the IRC channel for questions, and where to look for other contact information provided by each organization. The microphone was then passed to our youngest speakers, Google Summer of Code 2012 alumni, Islam Wazery and Ahmed Refaat, both Shrouk Academy Computer Science graduates. Islam discussed how to write a quality proposal and gave a demo on his own accepted proposal to KDE from 2012, complete with a slideshow. Seif Lotfy, a Google Summer of Code mentor for the past five years with KDE and GNOME, gave a final talk on how to increase the chances of your proposal being accepted by the mentoring organizations from the perspective of a mentor reading through the proposals. We concluded the meetup with our speakers hosting a Q&A panel and answering some more detailed and specialized questions asked by enthusiastic students. We would like to thank all of the attendees and everyone who contributed to making this meetup a success.